Bristol: Biopress, ISBN 0-948737-10-7 and London: Farrand Press, ISBN 1850-830-169, July 1991. [Distributed by Lubrecht & Cramer, USA, $60]. The microscope has had a greater impact on the development of knowledge than any other scientific instrument in history. Leeuwenhoek is the man who launched the modern era of microscopy. He discovered algae and protozoa, and his studies of sperm cells and aquatic microbes created the science of microbiology. Brian J. Ford relates just how good a manufacturer of microscopes the Dutch draper was; how acute an observer, interpreter and recorder of their images, how he sought to improve his experimental methods, how his work has been widely undervalued, and how the specimens he prepared for the Royal Society were neglected for three centuries. Ford writes with simple clarity; he is an expositor. After pointing the reader to Dobells great work on Leeuwenhoek, he draws a modern biography, correcting, where necessary, earlier accounts. 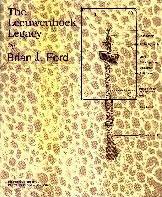 The meat of this book, however, is a modern examination of Leeuwenhoeks technique, the. great variety of his work and irrefutable evidence of the power of his seemingly primitive instruments; these Ford uses 3ust as they were used in the seventeenth century. 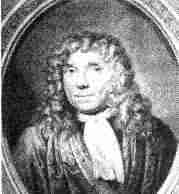 Few scientists had looked through Leeuwenhoeks lenses, and Fords mastery of modern techniques has given results which greatly improve on other recent research. Most remarkably, for the first time since Leeuwenhoeks death in 1723, Ford has been able to observe the same material as his subject! Brian J. Ford has found, in the archives of the Royal Society of London, the very samples Leeuwenhoek examined, described and sent, in 1674, 1686 and 1687, to that pioneering body of Science. Just the discovery of this material is a story in itself. Ford goes beyond this - a microscopist of great experience, he subjects Leeuwenhoeks specimens to scrutiny both with their creators microscopes and with modern devices. The results are staggering. Study them for yourself and reflect on the examination question set a few years ago: Show how Leeuwenhoek could not, with his equipment, have seen the images he is credited with describing. Oh, but he could. Patient, dextrous readers can, with these pages beside them, make their own Leeuwenhoek microscope. The Leeuwenhoek Legacy has been ingeniously designed using a larger than usual page which accommodates a wide text column and a narrower one alongside for marginal notes and captions. Large pictures can spread across both columns, most illustrations use the text column, whilst small line drawings are well displayed in the marginal column. This flexible system is necessary for a book so comprehensively illustrated. Ford uses original prints, line drawings and facsimiles which give a flavour of the documents into which his scholarly researches have led him. Diagrams of the original microscopes explain their construction, and the extensive photographs, many taken with the surviving lenses, make this a unique work. The whole is on a coated paper of high quality and the book is handsomely case bound. This book is essential to the personal library of every microscopist, amateur and professional. Historians of science will find it a revelation, in both the history of medicine and that of ideas. All biologists will need to refer to this book. So clear is the writing and the accounts of experiments that school libraries, with the new emphasis on the history of science, will find it indispensable. Antony van Leeuwenhoek was one of the greatest pioneers in the earliest days of the scientific era. He was among the first to study microscopical anatomy, entomology, and particle structure; and his unprecedented high-power microscopes led to his discovery of bacteria. Born in 1632, Leeuwenhoek was middle-aged before his career in microscopy began. Many of his experimental methods laid the foundations of modern scientific practice. 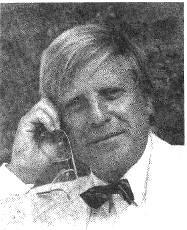 His simple microscopes are well known and have been extensively studied. But the discovery of his original specimens, by the author, at the Royal Society, has offered new insights into the birth of microscopy. A detailed process of scientific analysis using modern methods - has now revealed how Leeuwenhoek worked. This work is presented and evaluated, with painstakingly researched archive material, to give a unique record of the artifacts Leeuwenhoek left behind. With the scientific record of the original material, Ford has recreated many of the original experiments. Photographs and photomicrographs of these, printed alongside Leeuwenhoeks own researches, show for the first time, how accurate were his observations more than three centuries ago. Ford also describes the surviving microscopes associated with Antony van Leeuwenhoek and provides diagrams of the methods of construction. He has also spent time with the few remaining enthusiasts who use such instruments today, and describes their methods of making high-power simple microscopes. Brian J. Ford is a Fellow of Cardiff University, a leading independent scientist, and an authority on the microscope. He is a Member of Council and Surveyor of Scientific Instruments at the Linnean Society of London and Chairman of the History Committee at the Institute of Biology. He has been a Fellow of the Royal Microscopical Society for over 25 years. His books are published internationally, and he lectures in many countries. Ford is a gifted expositor, with a remarkable talent for the lucid explanation of complex subjects; he has a passionate belief In the need for a wider understanding of the methods used by the pioneers of investigative science. See also review from the internet. Move to reviews index, or see the Leeuwenhoek microscopy site.